The net inflow into equity schemes more than doubled compared to last year, reflecting the structural uptrend driven by an improvement in financial savings and investors’ shift from physical to financial savings. With the latest cuts in bank deposit interest rates, investors are taking to the stock market through equity and balanced schemes. Net inflows through Systematic Investment Plans (SIPs) also hit an all-time high of Rs. 5,206 crore in August 2017. 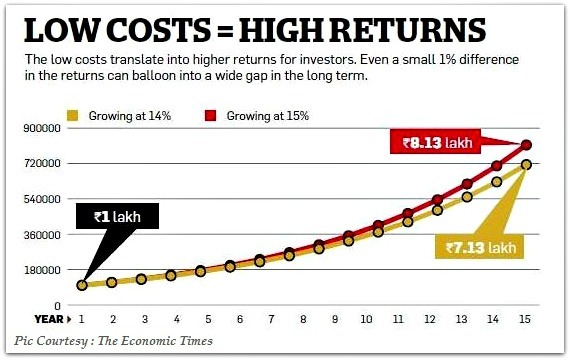 In fact, inflows through SIPs rose 44% to Rs. 23,750 crore in the last 6 months. The industry on an average added 8.55 lakh SIP accounts with a ticket size of about Rs. 3,275 per account. With strong retail participation and high net-worth individuals, the AUM of the mutual funds industry increased 3% to Rs. 20.59 lakh crore in August from Rs. 19.97 lakh crore in the previous month, according the Association of Mutual Funds in India (AMFI). Over the past 3 years, the industry AUM has doubled from Rs. 10 lakh crore. The money market segment witnessed the highest net inflow of Rs. 21,352 crore followed by equity (Rs. 20,362 crore), balanced (Rs. 8,783 crore) and income funds (Rs. 8,390 crore). The total folio count increased 2.4% to 6.08 crore in August, 2017 according to SEBI data. The growth was primarily on the back of 10.9 lakh new folios added to the equity category and 2.36 lakh new folios to the balanced category. Being a popular tax-saving instrument among investors, equity-linked saving schemes (ELSSs) alone added 1.21 lakh new folios between April and August, 2017. However, the folio count dropped by 3,580 and 1,546 in Gold ETFs and Fund-of-Funds investing overseas, respectively, from July-end levels. Investments from beyond the top 15 (B15) cities accounted for 17.6 per cent of the total industry AUM in August,2017. In the past 12 months, B15 towns have witnessed AUM growth of 39% or Rs. 1.04 lakh crore in August to touch Rs. 3.70 lakh crore, against Rs. 2.66 lakh crore a year ago.